Whilst Arsenal fans took the reports with a pinch of salt, it did not stop them from having their fun with it. 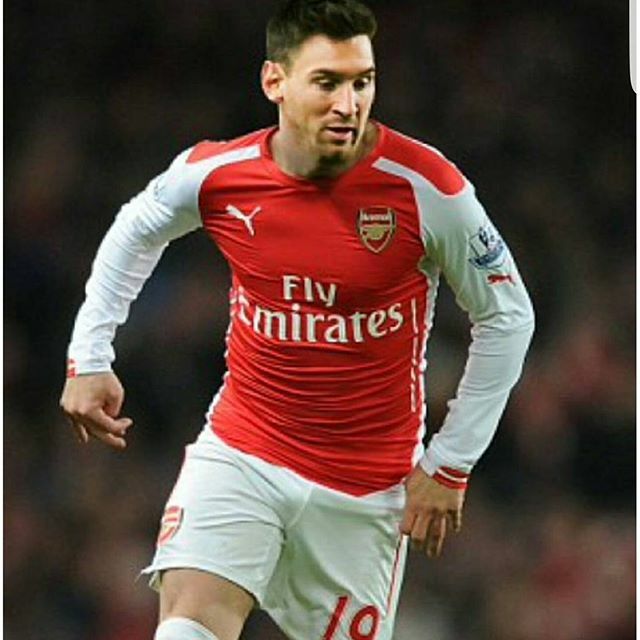 One particularly humourous—yet hopeful—Photoshopped image that made the rounds shows what Messi would look like in the Arsenal kit. The image was shared by fans of both Arsenal and FC Barcelona, as well as by general football social media accounts. Despite the international break, Arsenal shirt sponsor Fly Emirates received an uplift of 1.2 million potential impressions from the Messi speculation. It is certainly interesting that Messi’s popularity was leveraged to help the sponsor of FC Barcelona’s La Liga rivals, Real Madrid. SnapRapid’s visual tracking technology was able to attribute this image correctly to Fly Emirates. Had Arsenal or Fly Emirates tracked tags, they would have missed capturing the fan-generated uplift given that they likely would not have included Messi in their searches. Interestingly, the Messi rumours might not go away after the international break as a Gunner fan has offered to launch a crowdfund project to help pay for his wages. Fly Emirates might still have more to gain from the hopeful gossip through the end of January.